Steampunk Canada member Steam Bob Tanner (aka Nelson Boon) has written a couple of wonderful indepth posts for us in the past. Alonzo Wright is a boy living in poverty during the industrial revolution. When his mother dies, he's left to try and survive on the dirty and dangerous streets of London with his best mate Mike. But when Mike tragically dies, Alonzo finds, what seems to him, the opportunity of a lifetime. Alonzo has a foot that's twisted and bent, but not a bother at all. He also has a quick mind, and a natural gift for mending mechanical gadgets. It's this gift that lands him work, and a home, with Dr. Cheyne. During his time there, he grows and learns with the help of Mrs. Browne and stable boy Gus. But when an experiment goes horribly wrong, Alonzo may not live to become a man. While I wouldn't call this a rollicking steampunk adventure, or even really steampunk at all, except for the device mentioned occasionally later in the story, it is still a very good book, and well worth reading. 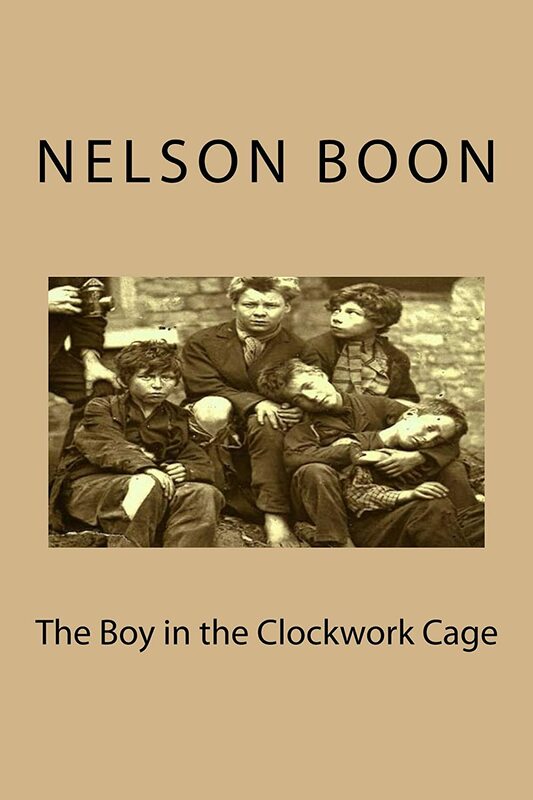 Boy in The Clockwork Cage is a fictional story about Alonzo's life in Victorian London, but it's also a brilliant historical view of a boy surviving the nasty, deadly city streets, and later, his life as a servant in a middle income home. Each character gives a different view of life at that time. Alonzo changes from street urchin to healthy and bright young man. Mrs. Browne has been in service all her life just like all the girls in her family. Gus is an average little boy until his family is torn apart by death and sudden poverty, finally landing him a placement with the doctor. Even Dr. Cheyne is a very average middle class character, until his mind starts to go and he starts to effect the lives of everyone in his household. I highly recommend The Boy in The Clockwork Cage. It's a great view of life in the Victorian period, and not the fancy life of the rich most authors write about, but the day to day lives of the masses, the workers and the servants. This is a great book to read if you're contemplating a more realistic, dirty, common steampunk persona. Also, if you like some well researched Victorian history with your fictional story.